Countless articles have been written about star athletes’ diets. Their bodies are finely calibrated high-performance machines, and their dietary regimens are source material for every fitness and health journalist, especially leading up to world-wide competitions. However, of thousands of athletes competing, only a small contingent have the podium in their sights. Most countries don’t travel with a support team of performance chefs and sports nutritionists. The majority of athletes have been training with minimal resources from their home country their entire lives – and the world’s most prestigious international competition is a party to celebrate the peak of their athletic career. 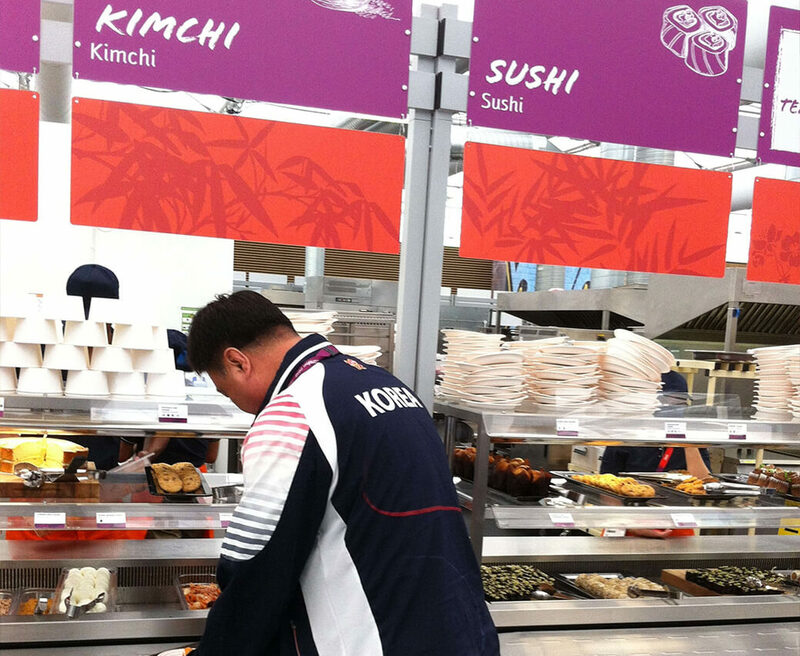 They eat together in the dining hall at the Athlete’s Village, where their credentials get them free access to all the food they want. 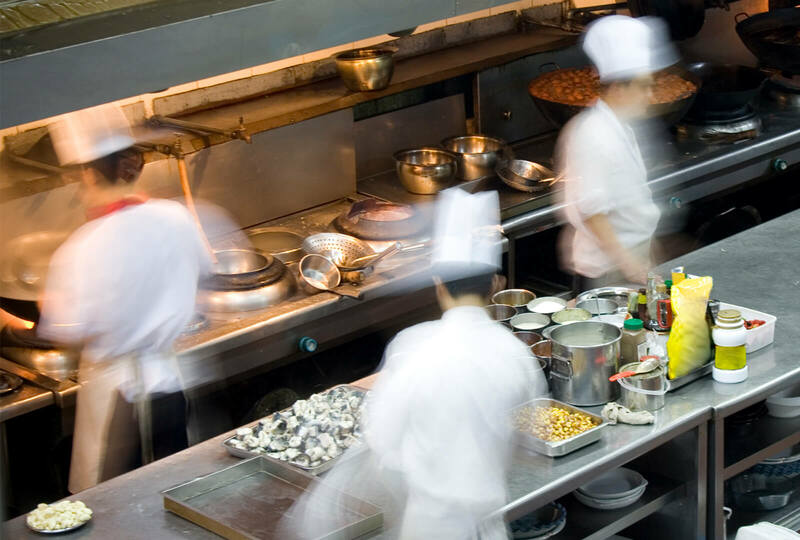 And it really takes a village to produce the food service program: more than a thousand culinary staff work non-stop to provide the athletes of the world with a bountiful, widely varied and perfectly nutrient-calibrated international feast. We chatted with Chef Doug Bradley, who held executive culinary positions at five international Games during his tenure with food service provider (and Hormel Foods partner) ARAMARK. He shared memories, menus, dining plans from past Games and a unique behind-the-scenes perspective into the Athletes’ Village. All the recipes planned are run through a nutritional analysis—each menu reviewed, each dish analyzed by a sports nutritionist. Each day offers a broad selection of items, with varieties of protein, vitamins and micro-nutrients available to any athlete. Executive chefs calculate nutritional values for each dish, and then tag for allergens. The Director of Culinary Operations needs to present menus, complete with nutritional assessments and amounts of ingredients to order for each dish, to the local organizing committee for budget approval 3 months in advance. Organizing committees would evaluate menus on an entire set of other factors, ranging from food costs to ingredient procurement feasibility to ingredient traceability. When sourcing ingredients, the traceability component is a huge consideration. The first reason is for food safety: If there’s a problem, the culinary team and organizing committee can go back and figure out where the item came from. The second is, there is a risk of athletes testing positive for doping when they haven’t doped, but something in the food they ate triggered a positive test result. Out of 5 Games in modern history, Chef Bradley says the most impressive show relative to food safety and traceability was Beijing. London was the first organizing committee that had a complete focus on sustainability – not only in food sourcing and service, but also in the broader sense of considering post-Games usage for buildings in the Village. Generally speaking, the executive culinary team would look at the world and divide cuisines up by continental groups. Europe would have basic traditional Western European type dishes: pasta, pizza, roasts. North and South America would be near Europe. The Asian area would have samosas, kimchi, various noodle dishes, dim sum and sushi. African and Caribbean were grouped together, because so many Caribbean recipes derive from African ones. A section of dining area was dedicated to Halal food. The dining hall always has a dedicated island focused on foods of the host country. 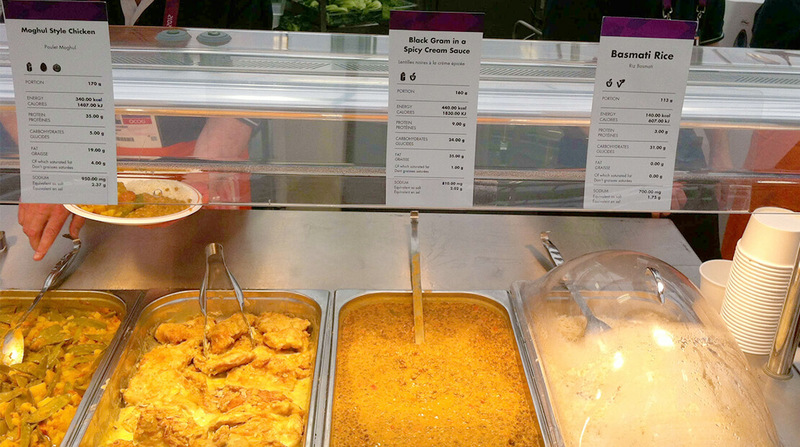 Specific nutritional tags, as well as calorie count and nutritional values, go onto the menu signage. Vegetable consumption is relatively low in athletes, by comparison to the many people loading up on protein or starch. Part of the challenge is, with athletes coming from around the world, the menu needs to address two issues: 1) how to fuel athletic performance 2) accommodating the athletes’ desire to be adventuresome and try the different items, but also balance that with dishes they recognize. One solution is grilled items. If the chefs grill 1000 portions of chicken, and serve several different sauces to augment the central protein, it can accommodate a number of different tastes. So, with the grilled meat, there would be a salsa, a chimichurri, a gravy, a peanut sauce and so on. The point is to get the most flexibility out of protein and minimize food waste.